I’ve listed accreditation for non-university institutes- for the uninitiated, Instituto Cervantes is the most prestigious. Exams provided may be either DELE (Diploma en Español como Lengua Extranjera) or CELA (Certificado de Español como Lengua Adicional). I’ve indicated where schools offer a formal preparation course for either of these exams; the other schools may, nevertheless, help you prepare in a more ad-hoc fashion. 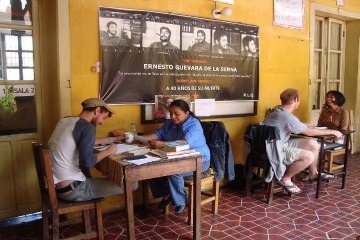 ICO opened in 1984 and is a founding member of the Spanish Language Schools Association of Oaxaca. The school is set in the grounds of a beautiful estate and offers a range of cultural activities and workshops: dance and cooking lessons, workshops on Mexican art and music, archeological excursions, textiles, Mexican cinema and more. Teachers are experienced and University-trained, and they focus on the Communicative Method. Accommodation: Homestay, posada, apartment or hotel. Cost of classes: The main program (up to 7 daily contact hours) costs US$520 for four weeks. After the fifth week, the price drops to US$100 per week. 20 and 15 hour programs are also available – check their website for the full list of prices. The Cooperativa was started in 2004 by a group of local teachers. All fees go directly to the teachers and local outreach programs helping to feed and house impoverished people and support a local elementary school. The school also offers conferences on Guatemalan politics and indigenous issues, documentaries, kayaking, zip-lining and salsa dancing. Academic credit: Can be arranged by a former student in the US – she must be contacted directly (see website for her details). Cost of classes: Four weeks, with four hours classes a day cost $426, or $666 with homestay. You can choose to study from 3 to 6 hours per day, with no maximum or minimum number of weeks. The Central American Spanish school offers intensive one-on-one Spanish courses along with in-house training for their teachers, all of whom are University-educated native speakers. There are programs in Medical and Business Spanish, volunteer opportunities, activities, and thanks to their satellite schools, a tempting “Maya and Beach” program. Academic credit: Yes, for US students. Cost of classes: US$150/week plus a US$50 application and materials fee. One week’s homestay is US$70. In addition to intensive Spanish courses, Habla Ya offers a range of social and cultural activities such as ecotours and adventure excursions, movie nights, charity quizzes and theme parties, latin dance and road trips. They take a communicative, conversational approach to classes. Cost of classes: Fours weeks of one-on-one classes at 25 hours a week costs US$1350. Homestays, with three meals per day, are US$20/week, plus a one-time US$50 set-up fee. 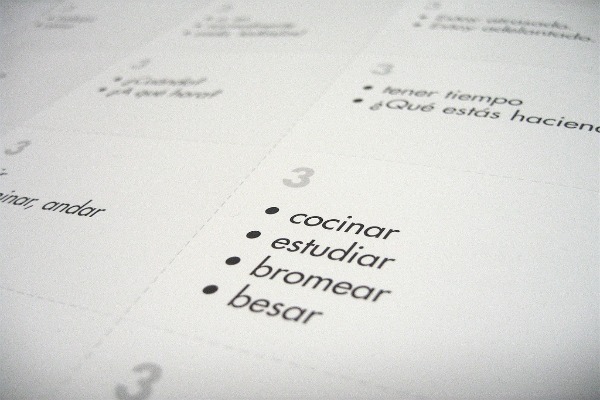 The University offers Spanish for foreigners as a summer, semester or monthly program. Each course offers optional seminars and workshops in Mexican art, politics, history or social affairs, textiles, dance classes and more. Guanajuato’s World Heritage downtown and thriving student scene sweetens the deal. Cost of classes: A semester program will set you back 6,740 pesos (currently around US$560). Monthly programs are US$550, and summer programs US$625. Each program will also require a US$50 registration fee. The University offers a Spanish for Foreigners Course, including 5 hours of cultural trips and workshops, running all year round. You can also enroll in tailor-made courses emphasising tourism, gastronomy, literature, music, business, industry or more. As an added incentive, Colombian Spanish is considered to be the “purest” of the Latin American accents. Cost of classes: Prices vary according to the size of the class – as a general benchmark, 4 weeks of classes, 25 hours a week, in a class of 6-10 costs US$730. ICA offers intensive Spanish from Beginners to Advanced and programs in Medical/Legal/Business Spanish. Classes are supplemented by a selection of relevant internships, volunteer and cultural activities, and loads of socializing. I studied here in 2009, and found it to be very professional and lots of fun. Academic credit: Available; they can provide University standard exams, transcripts and diploma on completion. Cost of classes: From US$150 – US$180/week, depending on the season and intensity (you can choose from 20 or 25 hours per week). If you are not staying in a homestay, knock off US$45. UNAM offers intensive courses in Spanish Language and Mexican Culture. There are 8 levels to choose from, and each course lasts 6 weeks, with a total of 90 hours of Spanish and 30 of cultural workshops and classes, covering Mexican art, history and literature. There is a maximum of 15 students in each group. Cost of classes: Materials and the six-week course cost US$365 plus an annual enrolment fee of US$65. 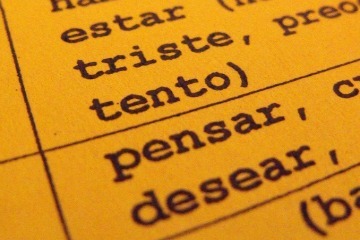 Have you studied Spanish in Latin America? Share your experience in the comments.